Introduction to Using Google Expeditions in Your Classroom – TC Net-Works, Inc.
Google Expeditions is one of my favorite virtual reality apps for students and teachers. The app provides hundreds of virtual reality experiences for students. There are VR experiences that can be used in social studies, science, and art classes. The guide mode in Expeditions is fantastic for pacing activities inside of the app. Rather than just having students looking through a VR tour you can direct them to specific places within a tour and ask them questions about the places that you have directed them to. 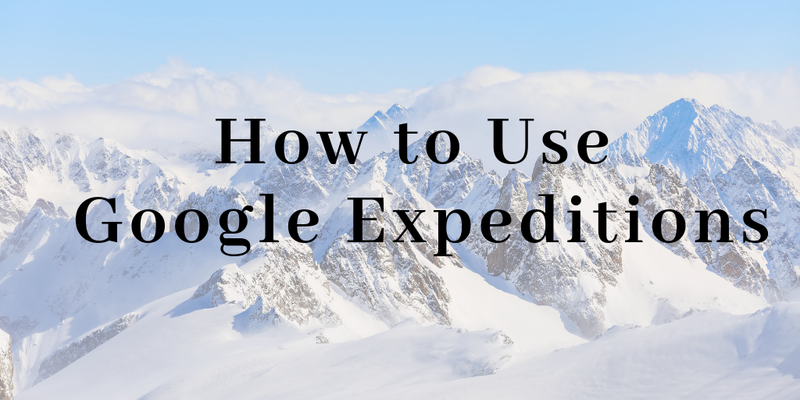 In the following video I demonstrate how to guide students in the Google Expeditions app. As mentioned in the video you need to make sure that you and your students are using the same wi-fi network. You don’t, however, need to all use the same type of device. In the video above I used my Android phone in guide mode and an iPad in the join mode. The iPad version of Google Expeditions lets students explore imagery by dragging the imagery. The iPhone and Android versions of Google Expeditions are designed for use in a VR viewer. I have used and been happy with the VR viewers from VeeR, Knox Labs, and Printor. Printor offers the cheapest ones at just $5.99. Get the Google Expeditions iPad app here. Get the Google Expeditions Android app here. Join my Teaching History With Technology course to learn more about using virtual reality in history classes.